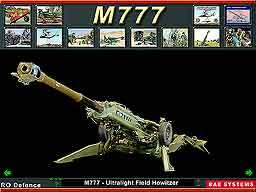 ATC produced an initial version of this extraordinary field howitzer in 1997. 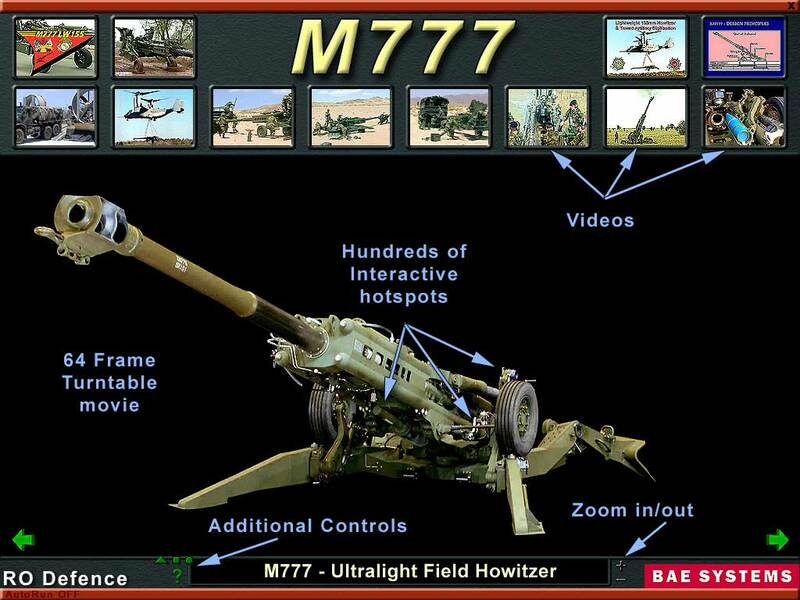 As the gun was developed over the next six years, from UFH through to XM777, and now to M777, ATC have introduced a series of improvements in performance, detail and interactivity. 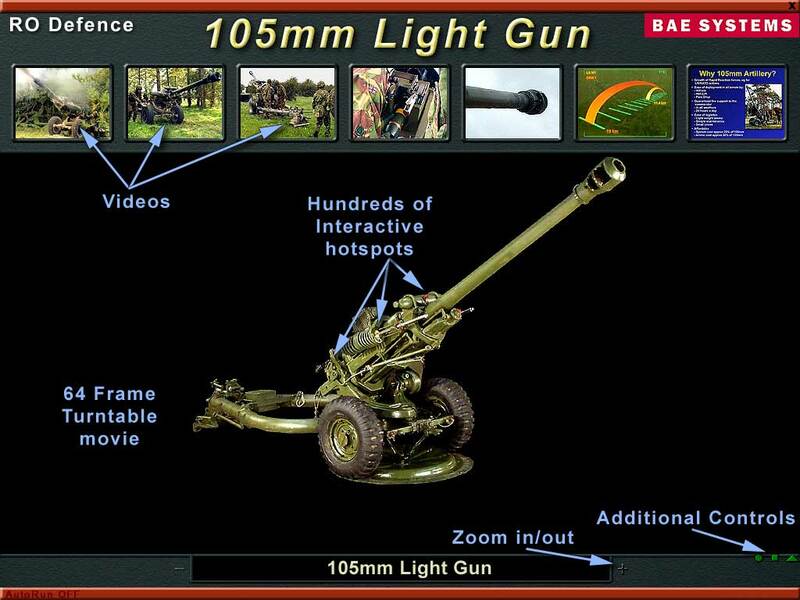 The programme now contains a 64-frame interactive turntable movie, hundreds of hotspots, over 30 high-resolution zoomable pictures, and 14 video sequences. We have recently delivered our first hybrid DVD / DVD-ROM version of this programme, which is compatible with standard DVD players, as well as with Windows and Macintosh PCs. 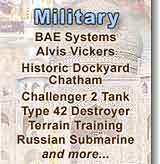 ATC began production of the interactive CD-ROM programme in 1998. 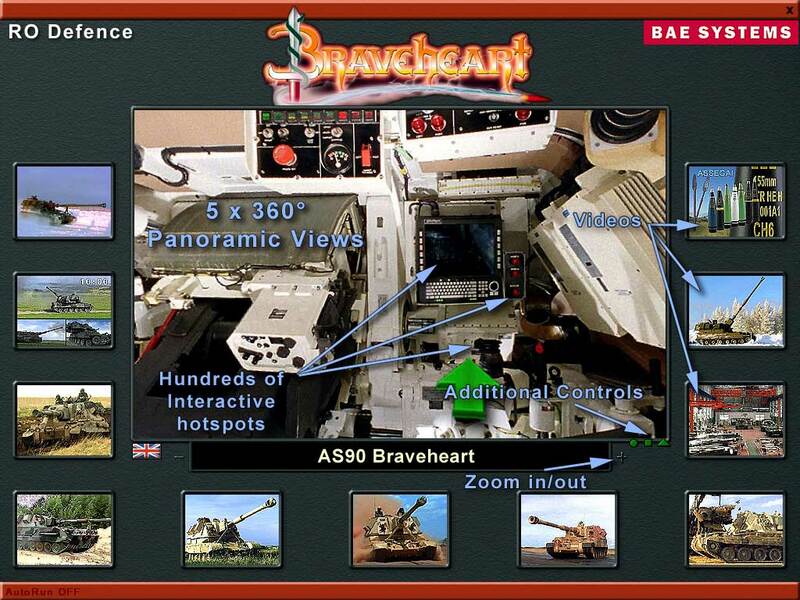 As the AS90 was developed over the next five years, including the upgrade to the Braveheart System, ATC have produced a series of improvements in performance, detail and interactivity. 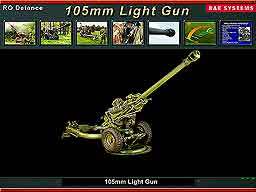 The programme now contains five interactive 360° panoramas with hotspots, ten high-resolution zoomable pictures, and 16 video sequences. 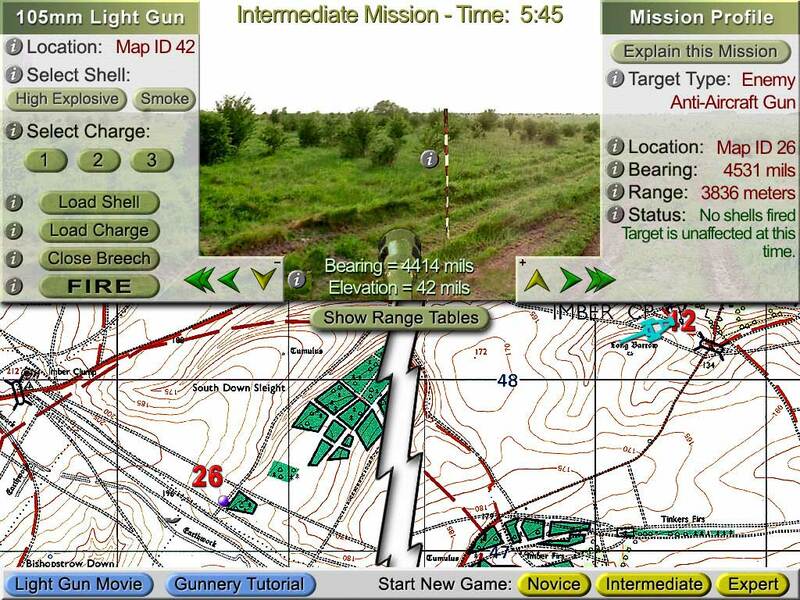 ATC began production of the interactive CD-ROM programme for the Light Gun in 2000. 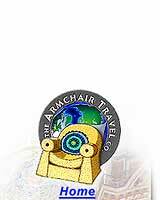 Since that time, ATC have produced a series of improvements in performance, detail and interactivity. 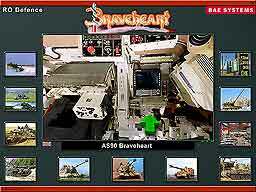 The programme now contains a 64-frame interactive turntable movie, hundreds of hotspots, over 20 high-resolution zoomable pictures, and ten video sequences. 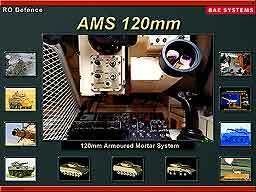 ATC began production of the interactive CD-ROM programme for the AMS in 2001. 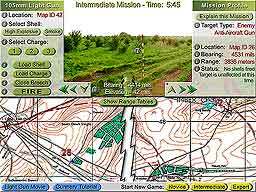 Since that time, ATC have produced a series of improvements in performance, detail and interactivity. The programme now contains six interactive 360° panoramas with hotspots, high-resolution zoomable pictures, and 15 video sequences.